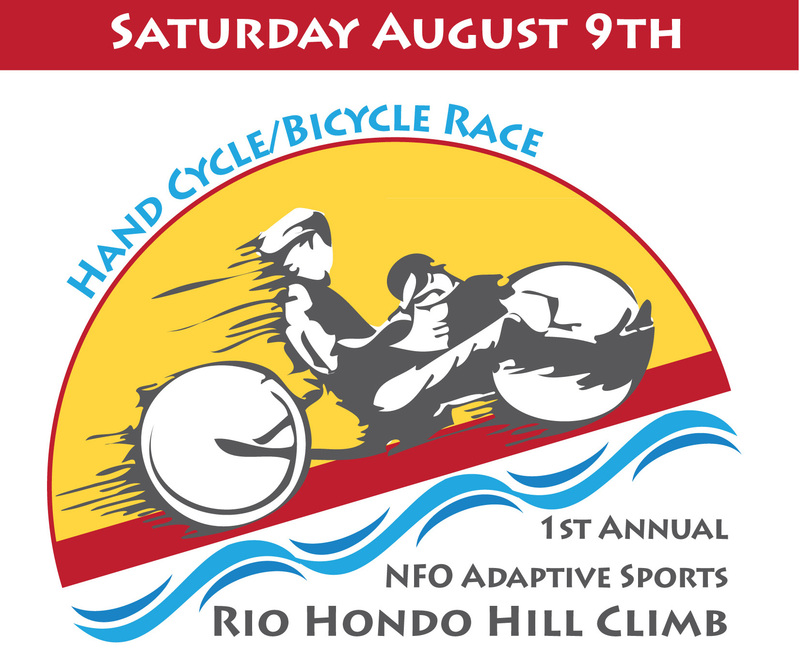 The Not Forgotten Outreach Adaptive Sports program is putting on their first event, a Rio-Hondo Hill Climb on August 9, 2014! The First Annual Rio Hondo Hill Climb to benefit Adaptive Sports in Northern New Mexico is a 9.5 mile hill climb following the scenic Rio Hondo, starting in the village of Arroyo Seco and finishing in the Taos Ski Valley. Following the race, there will be food, awards ceremony, various clinics & booths, and music. There will also be a fun loop in the base area for kids and adults to check out the various types of adaptive equipment for cycling. This event is for everyone! If you’ve ever done the hill climb with Field Institute of Taos, this is a slightly longer version that actually includes a downhill portion from Seco to Valdez. Registration begins at 8am at the Arroyo Seco Community Center with plenty of room for parking and gearing up for the ride to the top! The proceeds from race registration are dedicated to benefit Taos’ fledgling Adaptive Sports Program, which aims to increase sporting and recreation opportunities in our area for folks of ALL abilities, there will be hand-cycles and bicycles, and maybe some other kinds of cycles too! Find out more and Register! Adaptive Sports program director Emily Sadow recently joined Don Peters, founder and Executive Director of Not Forgotten Outreach, a 510-c-3 serving Taos County, dedicated to motivating disabled military veterans and Gold Star families of fallen heroes to participate in recreational and/or therapeutic activities in order to facilitate the healing process, to help organize and promote events and workshops that benefit veterans, their families, and the community as a whole. The Hill Climb is just the start of their annual event offerings, keep an eye out at http://www.notforgottenoutreach.org for more on what they’re doing in our community, and how you can get involved. They still need volunteers for the event!